Sri Ramanuja’s Favourite Tamil Hymn! Article No.1443; Dated 28th November 2014. Sri Ramanuja was a Hindu philosopher born in a Tamil Brahmin family in1017. Considered a great teacher who spread Vishtadvaita, was born in a Vadama family to Kesava Perumal Somayaji Dikshitar and Kanthimathi Ammal at Sri Perumpudur near Chennai. He lived a long life of 120 years and died in 1137. He was a great social reformer and converted a lot of people from lower castes as Vaishnavite Brahmins. 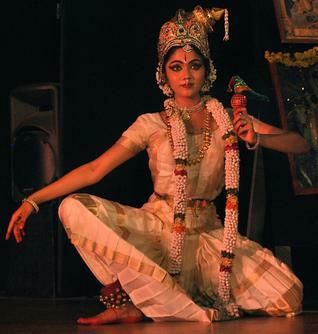 Thirty verses sung by Tamil poetess Andal of seventh century CE in praise of Lord Krishna is known as Tiruppavai. Sri Ramanuja is called by many names and epithets such as Udayavar, Emperumanar, Yathirajar and Bhasyakarar. 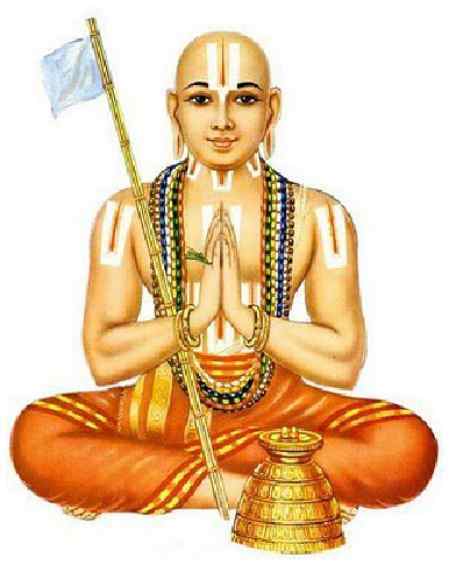 But Ramanuja himself preferred another name Tiruppavai Jeeyar. He liked the verse No.18 more than any other verse from the thirty verses of Andal’s Tiruppavai. There is a story behind this. Vaishnavites sing this verse twice in all the reciting events because it was liked by Sri Ramanujacharya. Listen and consider our damsel”. Suddenly the door opened and he saw his teacher’s daughter Athulai standing there with the alms. Ramanuja saw her as Nappinnai and prostrated before her. People of divine origin see god everywhere. We have heard such episodes in the lives of several Alvars and Nayanmars. And thus this verse gained added significance. When the Vaishnavites sing this verse they remember their great Acharya Ramanuja and Lord Krishna with his consort Nappinnai. Nappinnai! Thy hair perfume fragrant, door thou open! Meaning : Andal and her friends request Nappinnai, Krishna’s wife, to open the door. She praises Krishna with a mighty shoulder like an elephant. Beautiful morning time is also described. Nappinnai with her fragrant hair had a ball in her hand which was used for playing with Krishna the previous day.